WISS is off to an exciting start with university acceptances this year! Our impressive 36 students in the Class of 2018 are well on track for success. We are proud to announce that the Class of 2018 already has five acceptances to universities ranked in the top 50 world-wide. 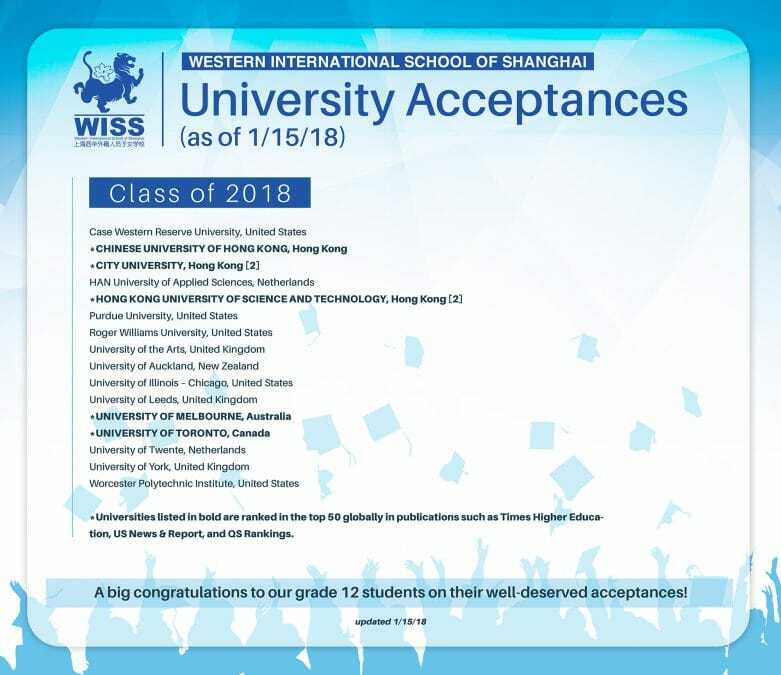 More acceptance news will come this spring as we receive more news from countries such as the United Kingdom and the United States.